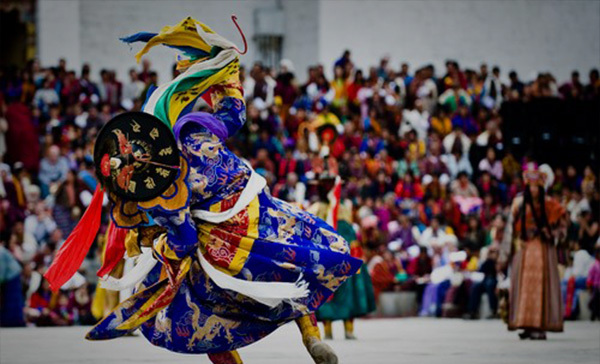 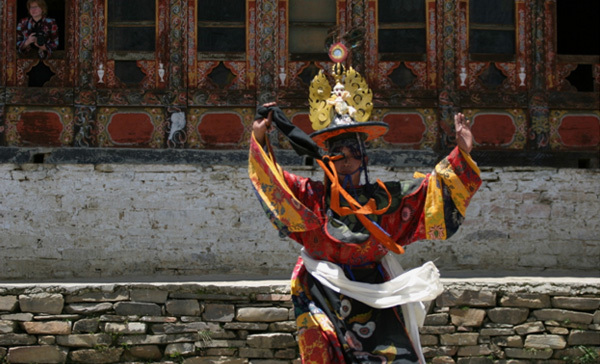 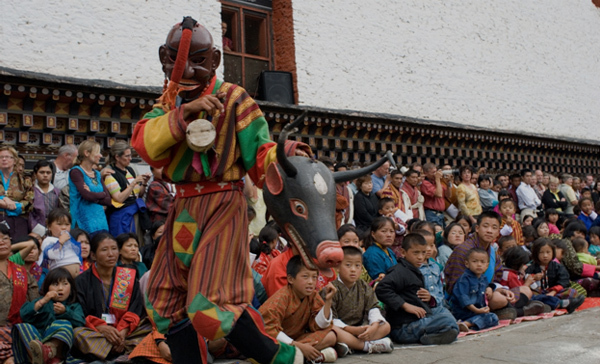 Festivals (Tshechus) in Bhutan are rich and happy expressions of its ancient Buddhist culture. 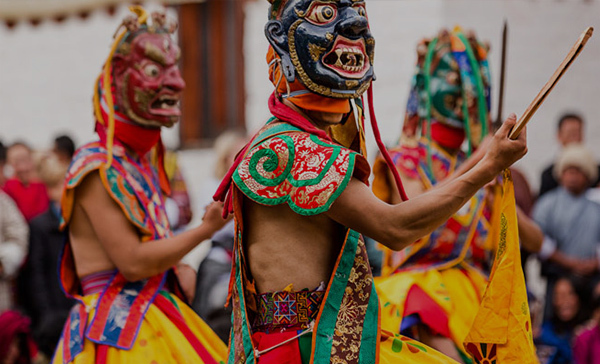 These festivals are held in all districts and most of them are in honour of Guru Rinpoche, the saint who introduced Buddhism to Bhutan in the 8th century. 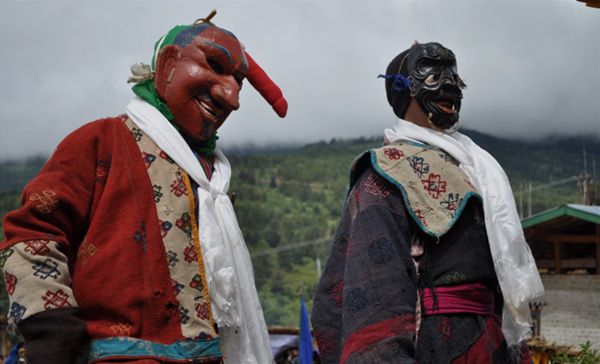 Tshechus take place on auspicious days in the Bhutanese calendar, and lasts for several days in which a series of colourful masked dances and rituals are performed. 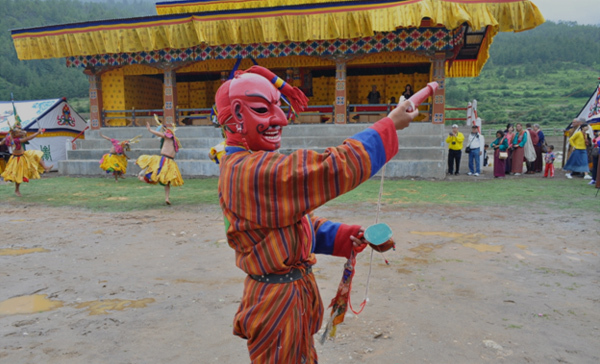 The Tshechus are a rich form of oral tradition where the Bhutanese pass on values, mythology and spiritual beliefs through the dance dramas. 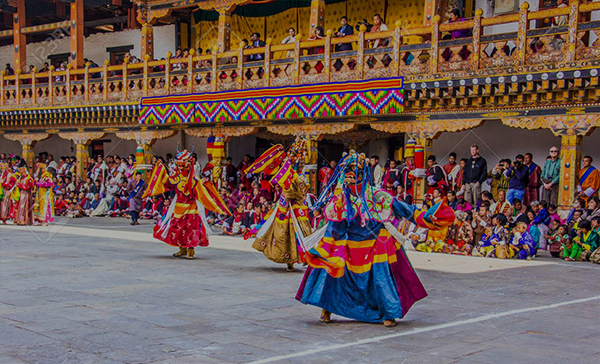 Many of the tshechus culminate with a rare display of a giant silk appliqué thangka (painting) depicting Guru Rinpoche or some other important Buddhist figures. 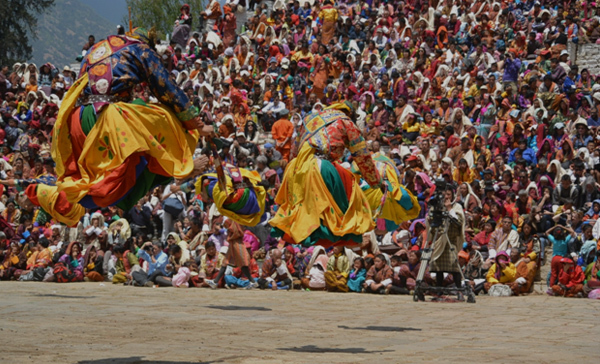 People’s deep faith and devotion make these festivals a special occasion. 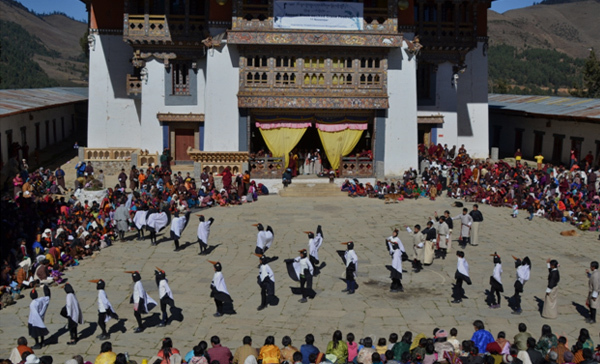 At the same time, it is also an opportunity to join hundereds even, thousands, of Bhutanese in taking part in an important religious and social occasion that often exudes a carnival atmosphere.